The 1960s, known as the ‘Swinging Sixties’ are recognised as a landmark decade both by those who lived through them and those who look back in awe at the revolutionary changes in fashion, style and sexual freedom. Continuing interest and appreciation of vintage fashion mean that 1960s styles, hair and make-up have seen a huge increase in popularity and the need for detailed information on this period has never been so great. The ‘Swinging Sixties’ saw young designers such as Mary Quant producing exciting new clothes modelled by the likes of Jean Shrimpton and Twiggy. New clothing styles were created – like the miniskirt – and new materials came to prominence including PVC and Perspex. 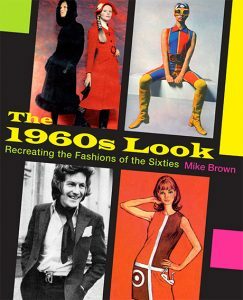 But achieving the ‘1960s Look’ is not just about the clothing but also the hairstyles, make-up, shoes, and many other accessories, all of which Mike Brown covers in detail. Using contemporary sources, photographs and meticulous research ‘The 1960s Look’ walks you through the decade telling you how men, women and children dressed – and why they looked the way they did. 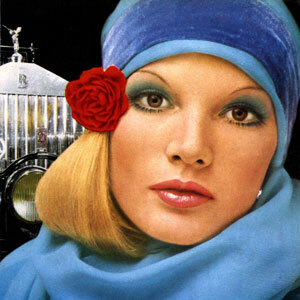 Lavishly illustrated throughout this book takes you back to a decade of fab miniskirts, groovy Beatles’ jackets, swinging Edwardian military uniforms, Mods in parkas and Rockers in leathers, plus the hairstyles, jewellery, make-up, and so much else that went to make up ‘the 1960s look’.